Looking for the best Telemarketing company in Melbourne? You’ve come to the right place. Are you looking for high quality Telemarketing from a local company based in Melbourne Australia? 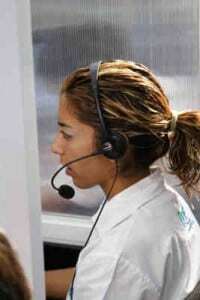 Maybe you are based in Melbourne and need the services of a professional Telemarketing company? Do you need help with Telemarketing, Appointment Setting or Lead Generation services? Are you looking for a Telemarketing company that has the capacity to scale when you need more work? Why You Should Speak With Call Force – Telemarketing Melbourne? First and foremost, Call Force – Telemarketing Melbourne was started by a successful entrepreneur and cold calling expert named Jonathan Zilberman. Jonathan has spent more than 15 years in the Telemarketing and Lead Generation industry. During this time, he has worked on the telephone in the sales and telemarketing divisions of other companies, both large and small. In the Telemarketing industry, that’s a very long time. As most people are well aware, telemarketing has a very high turnover rate. Most people throw in the towel after a few weeks and give up if not sooner. Working for so long in the Telemarketing industry clearly demonstrates the commitment and drive one needs to succeed in the Telemarketing business. The fact is, almost anyone can get a job telemarketing. You don’t need a degree. You don’t need any qualifications. It’s very easy. Or so it seems that way. The reality is, while it may be easy to get a job in telemarketing, not everyone who gets a job is cut out for the work. Here at Call Force – Telemarketing Melbourne, we believe that telemarketing requires a certain personality and skill set. While anyone can do the job, not everyone can produce great results. Only people who can show strength, flexibility and a willingness to learn will ultimately succeed in the long run. Can these skills be taught? Yes. And that’s what we do with all of our staff. Here at Call Force – Telemarketing Melbourne, our Telemarketing services can be tailored exactly to your specific needs and requirements. We understand that no two businesses are the same. We also know that the real success of a telemarketing campaign lies in the actual telemarketer. When we hire people to work at Call Force – Telemarketing Melbourne, we put them through a series of stringent tests. These tests ensure they have what it takes to deliver the best for our clients. Before any one of our telemarketers are allowed to make calls, they must first role play and practice their Telemarketing scripts with other staff members. We also spend many hours training our staff on the phones using real live calls. This ensures we are going to deliver the best possible outcome for our clients campaigns. But it doesn’t end there. Training is a massive element here at Call Force – Telemarketing Melbourne. This is where many telemarketing companies drop the ball. They train their staff once and expect amazing results all the time. We believe this is wrong. We on the other hand spend time coaching our staff each and every week. This includes all of our telemarketing staff. Even the top producers participate. This way we can be sure that we are getting maximum effectiveness for our clients Telemarketing campaign. Our training includes lots of role playing, objection handling and sales training. In a training session, we often bounce ideas off each other to uncover different and more effective ways of handling calls. Why Use Call Force – Telemarketing Melbourne? Call Force – Telemarketing Melbourne is a 100% Australia owned, run and managed business. All of our staff are based out of our head office in Bentleigh East in Melbourne. We conduct campaigns for clients in every state of Australia including Melbourne, Sydney, Brisbane, Adelaide, Perth, Canberra, Tasmania and even the Northern Territory. Our highly successful telemarketing track record currently spans well over a decade. We’ve run highly successful telemarketing campaigns for all sorts of businesses in all sorts of industries you can imagine. Let us know the objective you’re trying to reach. We’ll work with you to design a customised telemarketing campaign that suits your needs. Our goal at Call Force – Telemarketing Melbourne is simple. We want to understand how your business works and then generate high quality Telemarketing leads for you. We want to be your telemarketing partner that seamlessly integrates within your business. Think of us as like your invisible third arm. Contact Call Force – Telemarketing Melbourne today to discuss your next Telemarketing Campaign on (03) 9005 2335. Alternatively, fill out your details on the right, and we’ll contact you.